It is distinguished by the contrasts of warm and cool, rational and emotional, elegant and subversive, sweet and sharp. There is something that brings the night and its mystery to mind, yet the energetic vibrations of the day are in no short supply either. 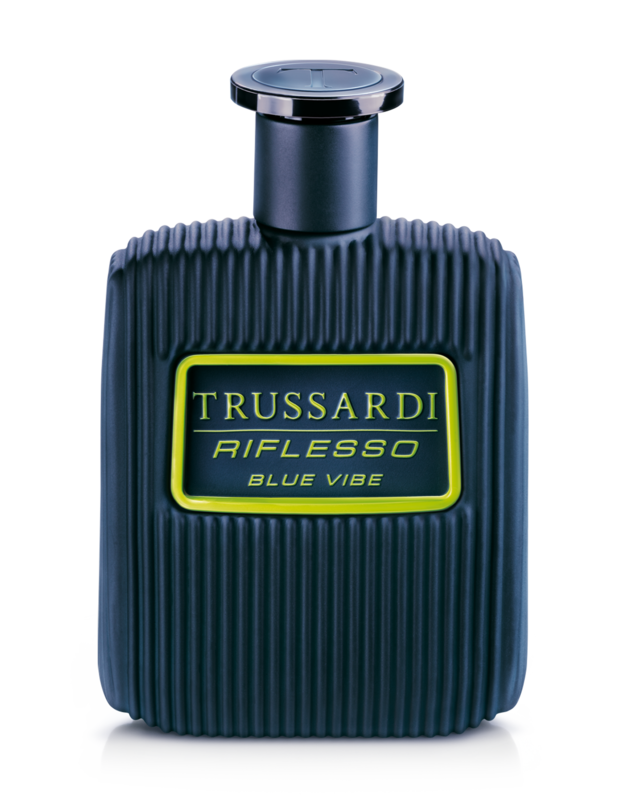 The olfactory structure of Riflesso Blue Vibe, created by Véronique Nyberg, contains many surprises: citrus top notes, floral middle notes and leather base notes to enhance the sensuality of the modern man. This is a fragrance that represents a new creation and a new attitude, the daily companion for all those situations where you can flaunt Italian style, with timeless confidence and elegance. Eclectic, dynamic and sporty. André Hamann, the German model and fashion influencer, is a successful man with strong creative flair: he plays the guitar, sings and loves to travel. So he’s the perfect testimonial to represent the new Trussardi Parfums fragrance, the bold and sensual Riflesso Blue Vibe designed for modern men.